For many years, I have sat in the congregations of many churches which have parochial schools attached, or some form of Catholic schools attached to dioceses. For many years, I have heard bishops and priests stand up at the pulpit and recommend the local elementary, grade or grammar schools, as well as high schools, or secondary schools, or sixth-form colleges which are Catholic. 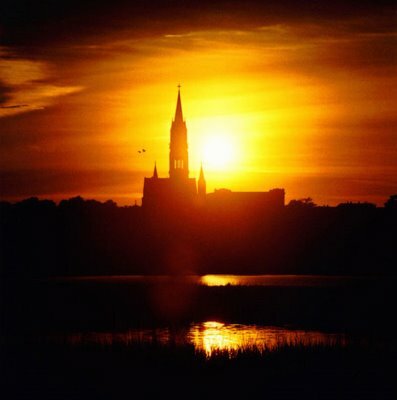 For many years, I have heard the leaders of the Church praise Catholic education. I have one question. If these schools are so excellent, where are the vocations from these institutions? The priest shortage in your dioceses in the countries I have listed here, Ireland, Great Britain and America, is not only reaching a severely critical stage, but is irreversible in most areas. As you, Dear Bishops, know, schools and parishes have been and are closing down under your care. As you, Dear Priests, know, families are still contracepting and not supporting the Teaching Magisterium of the Church in many other areas of doctrine and morality. Yet, you praise and encourage Catholic education. Where are the vocations to the priesthood from these schools? Where are the vocations to the religious life from these schools? Private independent Catholic schools in America are seeing a rise in vocations, as are home schooling families. Where are the vocations from the thousands of Catholic schools which are being supported in your three countries? Please pray and admit that Catholic education has failed the Universal Church in the West. Please pray and be honest about false pride in local schools or boarding schools, which have not produced vocations. False pride hides the disobedience of teachers, administrations and boards. Please stop thinking that something is better than nothing, even if unorthodoxy reigns. 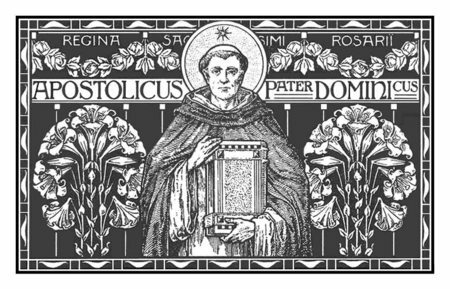 Please pray for obedience to Rome regarding the Oath and the Promise which all good Catholic teachers would want to take. Please pray and answer my question. Where are the vocations? It is snowing again. It is really cold outside. And, I have good internet access. Taking advantage of the days here. Take your time and read all the posts from Friday slowly. Lots of good stuff. It is so fun being a Catholic! Plus, I read all the Jane Austen novels yet again for the umpteenth time last year. I need to go back to my journey through all the Dickens. I have read several Dickens many times, and same with George Eliot. Reading is good. Writing is better. Well, last year, this caused a storm, but almost every year I refer to Keat's melancholy, but interesting poem on "The Eve of St. Agnes". It is a secularized version of the custom of a young woman putting a piece of wedding cake under her pillow the night before the feast, and then being given a dream of who her future husband is. By the way, Americans, British traditional wedding cake is a hard fruit cake with marzipan frosting, so one could put it under one's pillow without the great mess a white, soft American wedding cake would cause. interest the Romantics had in medieval life, long gone, and suppressed by the Puritan and secular government of England. This romantic outlook is limited, but the religious and poetic imagination of the English was a reaction to the Enlightenment. Keat's was a master poet and the poem is worth reading. It was a favourite theme of the Pre-Raphaelite painters as well. The theme is a Romeo and Juliet story. But, today, I want to emphasize the need for poetry in our lives. We are people of the Word, if we are Catholics, and the language of poetry moves us in a different way than prose. If you have not delved into poetry, take a minute today. And ladies, only one small slice of cake will do.....(smile). Here is a photo of old wedding cake tins which were given to the guests for this very night. 4 Now there are varieties of gifts, but the same Spirit; 5 and there are varieties of service, but the same Lord; 6 and there are varieties of working, but it is the same God who inspires them all in every one.7 To each is given the manifestation of the Spirit for the common good.8 To one is given through the Spirit the utterance of wisdom, and to another the utterance of knowledge according to the same Spirit,9 to another faith by the same Spirit, to another gifts of healing by the one Spirit,10 to another the working of miracles, to another prophecy, to another the ability to distinguish between spirits, to another various kinds of tongues, to another the interpretation of tongues.11 All these are inspired by one and the same Spirit, who apportions to each one individually as he wills. The wisdom of the Church places this reading on this day of the Wedding Feast of Cana. Here we see three things, among many more. One, in marriage, there is a combination of gifts from the man and the woman, which build up the Church. Each person gives and receives according to God's Will. The mutual respect and support of the husband and wife allow for these gifts to flourish for the common good..
Two, in marriage, the Holy Spirit brings two separate people together into a union which spiritually and physically is revealed in the oneness of the marriage act and the following children who come from that union. Such a blessing is a prelude to the intimate relationship one has with Christ and can lead to that understanding. Three, it is important for couples not merely to look at each other and their children, but out into the larger community. This use to be a common practice-hospitality, for example. Now, so many people do not open their houses for gatherings. I marvel at this. In addition, the Church Militant is given gifts for this time on earth, before we see the victory of the Church Triumphant. Our gifts may be those for battle. They may be less militaristic and more homey such as hospitality-a lost art in this increasingly cruel and selfish world,. I know a great, young Millennial couple who are a beacon of hospitality. They know the real meaning of marriage. They are using their gifts. Just as Mary asked Christ to manifest His power at the Wedding, so too, all of us are asked to share our gifts, no matter how small these are....like blogging! Mary, again, is our example of one who said "Yes" to using her gifts. She gave of herself, and she gave us her Son. The Church is the Bride of Christ, of which we are reminded daily because of the discipline of celibacy in the priesthood in the Western Church. But, all of us are called to that intimate relationship with Christ. For a man, it is intense and total friendship. 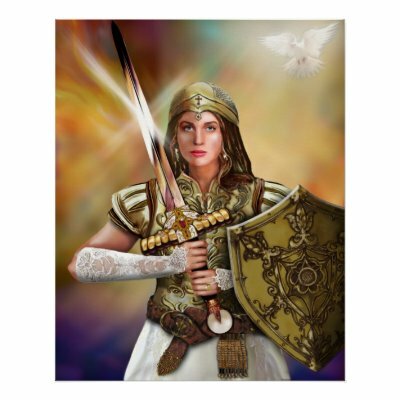 For a woman, it is the bridal love towards Christ. The example of the purest and most excellent Bride of Christ is Mary, both Mother and Bride. Her example today is ours. These words apply to each one of us, to Mary, and to the Church. The prophet was addressing the Nation of Israel, the Chosen People of God. They are the archtype of the Church. Without the Church, and without Christ, we are desolate. With him, we are vindicated in Truth and Love. The Church and each one of us is a light to the nations. Be that light today. In the growing darkness, be that light. Today is one of the Three Epiphanies celebrated in the Church. The first is the Manifestation of Christ to the Magi. 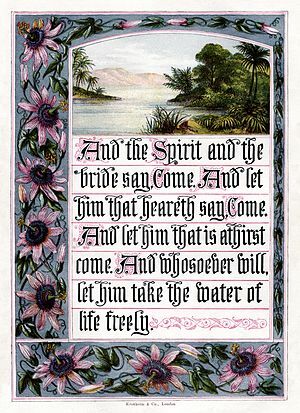 The second is the Baptism of the Lord. This, the Miracle of the Wedding Feast, is the third. This epiphany is the beginning of the road to the Cross. Not to be glib, but many people get married never thinking that this vocation may be a road to the Cross. We are faithful in sickness and until death do us part. I am grieving over the news that a man left his ill wife. Pray for such couples. Pray that the love of Christ would supplant any romantic, superficial love. I like to think that when Mary said to Jesus, "They have no wine," that she was saying, "This couple needs Your Love, My Son, to fulfill their marriage." The wine symbolizes to me the Love of Christ, which makes the marriage last. My parents have been married 65 years. They know what real marital love is...............and see my series on the Pope's encyclical tagged here. 1 On the third day there was a marriage at Cana in Galilee, and the mother of Jesus was there;2 Jesus also was invited to the marriage, with his disciples.3 When the wine failed, the mother of Jesus said to him, "They have no wine. "4 And Jesus said to her, "O woman, what have you to do with me? My hour has not yet come. "5 His mother said to the servants, "Do whatever he tells you. "6 Now six stone jars were standing there, for the Jewish rites of purification, each holding twenty or thirty gallons.7 Jesus said to them, "Fill the jars with water." And they filled them up to the brim.8 He said to them, "Now draw some out, and take it to the steward of the feast." So they took it.9 When the steward of the feast tasted the water now become wine, and did not know where it came from (though the servants who had drawn the water knew), the steward of the feast called the bridegroom 10 and said to him, "Every man serves the good wine first; and when men have drunk freely, then the poor wine; but you have kept the good wine until now. 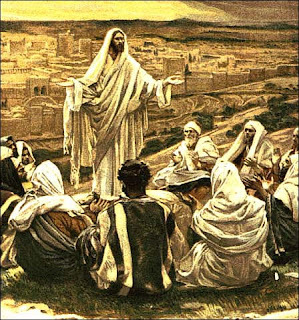 "11 This, the first of his signs, Jesus did at Cana in Galilee, and manifested his glory; and his disciples believed in him. 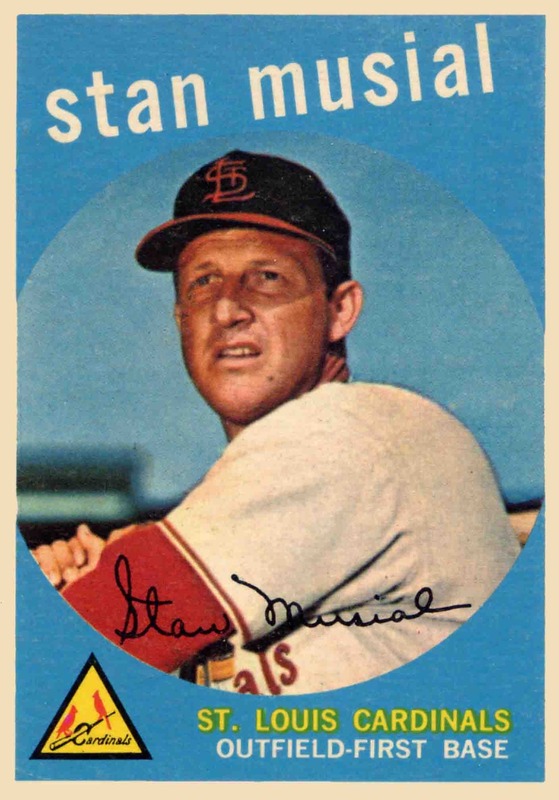 Father Z brought to my attention the death of Stan Musial. Fr. Z's comments are worth reading. Here is my addition to honour this great sportsman. My great-uncle, who played on the St. Louis Browns, was the scout who discovered Musial and brought him to the majors. As a child, I kept a scrap-book of his career, including a signed photograph he sent me as a little fan. I have no idea where that scrap-book is . My family is a die-hard Cardinal family, one side being from St. Louis, plus the baseball connection. I have read 0ne biography, and my great-uncle is mentioned in it. God bless him. He was a gentleman and showed us how sport should be played…in respect for all on the field, off the field, and to the best of one’s natural ability. In these days of doping and rude behaviour, I honour Musial as “The Man”, an example for us all of the morality and skills which should inspire youth. PS I had a phenomenal baseball card collection and was the only kid in the neighbourhood to have both Mickey Mantle and Roger Maris cards in 1960. I gave the collection to my youngest brother a long time ago…I was a bit of a tom-boy and passed on the collection when I was getting my pink princess phone and being a real girl. And here is a snippet form the on line Bleacher Report: Stan Musial finished his career with 3,630 hits. As pointed out by ESPN's Trey Wingo, Musial had 1,815 hits at home and 1,815 hits on the road. The ridiculous number of hits throughout Musial's career puts him fourth on the all-time hits list. Pete Rose, Ty Cobb and Hank Aaron are the only players to have more hits than Musial. While he ranked fourth in hits, Musial finished his career ninth in at-bats. That shows just how impressive Musial was with his at-bats. He finished his career with a great batting average of .331.
different than the other animals. and be victorious in good. destroys both freedom and the ability of the will to choose good. is good, nor of willing what is evil, but merely of willing. the devil, we do not cease to belong to ourselves also. and imperfections, one cannot do good, or work in and for the glory of God. not to be able not to sin. Justice is based on natural law and the attribute of God, Who is Just. Preach, teach, talk, pray, study, read, pray some more. There is not much time left for religious freedom in several areas of the now free world. We must cultivate interior freedom in order to survive the lack of exterior freedom. St. Bernard of Clairvaux would have made an excellent 21st century psychologist He understood human nature and nurture. He understood the workings of the soul, the psyche. He understood the need for the seeking of perfection. Some people have asked me why the need for perfection. I have finally found a priest who understands this journey and desire for purification. He told me today that the imperfections of my soul must be rooted out by prayer and Trust. Confidence in Divine Providence is a great gift and the more one allows the Love of God into one's heart, the more the confidence grows. Confidence allows one to be humble and honest with one's self. Confidence is based on honesty, as is humility. When one can be honest about one's past and present, when one can be honest about one's limitations, then one is one the road to perfection. It is exciting and rewarding. When one is honest with one's self, one is no longer alone. One is joined to humanity. Pride separates, humility unifies. We have no power to bring about the Kingdom of God unless we allow God to cleanse us of pride and other sins. Without purification, there is little power. Power is from the Holy Spirit, Who wants to renew the face of the earth, as the prayer indicates. That renewal cannot happen in mediocrity. It cannot happen in lukewarmness. 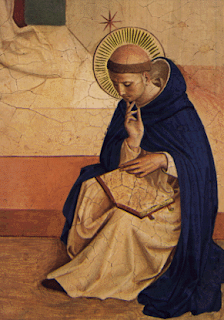 St.Bernard of Clairvaux gives us three levels of self-knowledge and stages on the way to perfection. The first is VIRTUE We learn how to be good, how to live the life of the virtues. If we learn this as children, we are most fortunate. The life of the virtues only comes after purification. Second, is NATURE. Bernard says that the practice of virtue becomes so habitual that we do not have to think about being good. One lives out the virtues naturally. There is joy in this, much joy. To live in virtue naturally brings about change in the world around us. Third is the stage of GRACE and GRATITUDE. One lives in delight. But, here is an important point. Without freedom, without free will, there is NO merit. If one is still living in states of sin, there is no merit. One is merely reacting to stimuli. Freedom means love and liberty from sin. This is one good reason to seek perfection--the will becomes free. as we have already defined it, free choice, the word " free "
As a fact determination is judgement. 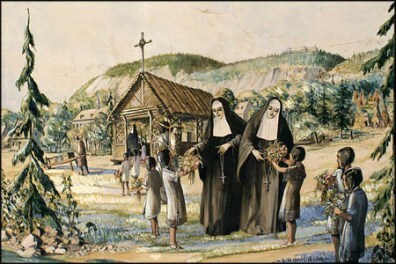 Like the Jesuits, Salesians, Benedictines, Ursulines (and others not covered in this mini-series), the Dominicans developed and used a method of pedagogy. These are learned in debate and in writing. I have taught some of this in argumentation. Let me help with the definitions. First, dialectical reasoning is a broad term which could include the Socratic Method as well as in a debate class. People take differing views of a subject and logically convince an audience, or a class of the value of one. Obviously, one must know Aristotelian logic and the fallacies to be able to do this. Second, inference is the coming to conclusions using knowledge known to be or accepted as true. We call this inductive reasoning and it can be taught easily in writing and in debate. Third, the solving of contradictions can include discussion among those with various points of view. I suggest using ground rules for this type of discussion. Again, logic precedes this type of learning. Fourth is critical thinking through analytical skills. The forms of writing we call expository, such as definition, argumentation, description, and narration help teach analytical and critical thinking. IPDA primarily utilizes a one-on-one debate format in which one debater takes the side of the affirmative where they have the burden of advocating and proving the resolution. The other debater takes the side of the negative where they have the burden of refuting the affirmative's case. For each round, the two debaters are given five possible resolutions. The negative begins the topic selection by striking one resolution, then the affirmative strikes one resolution. The negative strikes again. Thus, the affirmative has two resolutions to choose from. The affirmative then strikes one of the remaining resolutions, selecting the other as the topic for the round. After the topic has been selected, both debaters have thirty minutes to prepare a case. The Spirituality behind all of this is that of the disciplined student and teacher, who respect Truth as God and use the mind for the defense of the Faith. 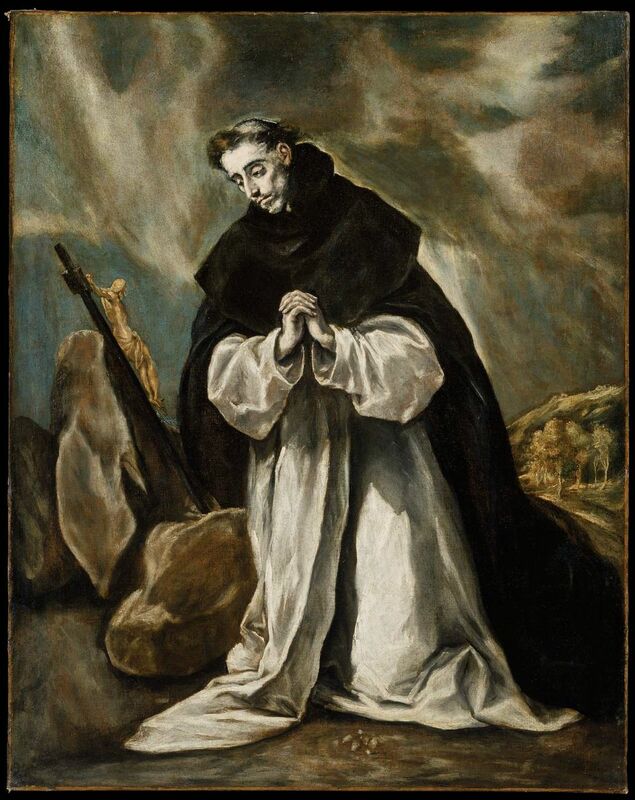 The Dominicans were famous for their teaching of apologetics and ability to engage the enemy, as it were, winning the rational arguments against the Albigensians and others. Again,this method can be incorporated into a day prayer and work, but has much more of an intellectual emphasis than the Benedictine or Salesian methods. The purpose is slightly different-public disputation of the Teachings of the Church. This is a very appropriate method for this day and age. I would think some home schooling parents could use this method, or as I did, incorporate some of the disciplines into the other types. Many people are facing extreme suffering at this time. Some are young people who have been abused at home and are trying to break out of self-hatred and harm. Pray for them. I know of two in my circle at this time who need prayers desperately. Also, pray for priests who are under stress from persecution of various types. Love the priests in your parishes and protect them. Pray for priests and seminarians under threat from hatred of the Catholic Church and God. We are all vulnerable, but we must join in prayer in these darkening days. Please join me for T, J, B, R, K, P, D, G, and others.